The Mighty God has Done Great Things for Us and Holy is His Name! On the feast of the Visitation, during our Eucharistic celebration, our chaplain, Fr Paul Gurr, spoke beautifully about the qualities of the old and the young. He was drawing comparisons between the older woman, Elizabeth, greeting the younger woman, Mary and speaking of the needs and richness of the different ages and the beauty of the whole of life. The young have much to bring to the old – new life, vigour, dreams, freshness, innocence, joy…and likewise, the old, have much to impart to the young – wisdom, steadiness, serenity, experience, story, depth, quiet knowing. Both need each other and this fact was perfectly demonstrated in the reading from Luke’s Gospel telling the story of that beautiful visitation between Mary and Elizabeth. We know too that in our own lives and those of our families and communities, we all need the gifts and qualities that both the old and young bring to all our life and living. 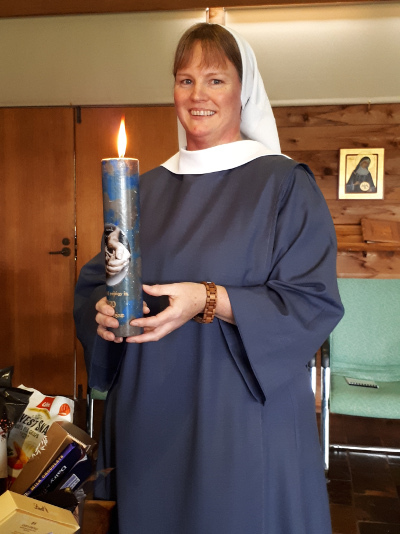 And so it was for our little community on that Feast of the Visitation and the days following when we had something of an explosion of celebrations featuring old and young and some in between! Some of these have been mentioned on our Facebook page but to give you a synopsis, we began with three celebrations on 31 May (Visitation). 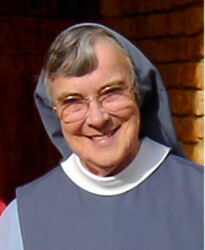 Our beloved Sr Elizabeth (91 years young!) 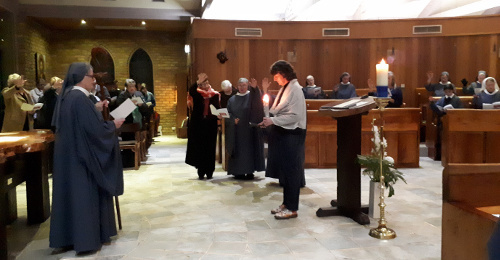 celebrated her feast day, our young Sr Petra made her First Profession of vows, and our middle-aged friend and Oblate, Lee-Ann proclaimed her simple vows as a Beguine, anchored to our community. 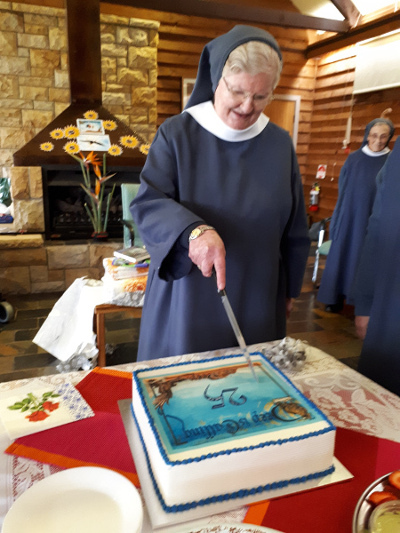 The following week, Sr Antonia celebrated 25 years of religious profession, while a few days later, Tasha Grigor, was clothed in the monastic habit thus beginning her life as a Benedictine nun. It is seldom that we have so many of these events occurring so closely together but the fact that they did, gave us pause to celebrate the richness and beauty of life. 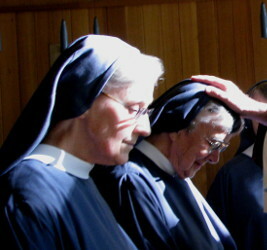 How enriching to see our older sisters being celebrated for their gifts of years and their faithfulness! How inspiring to see middle-aged sisters reflecting on their life’s journey and taking new steps! 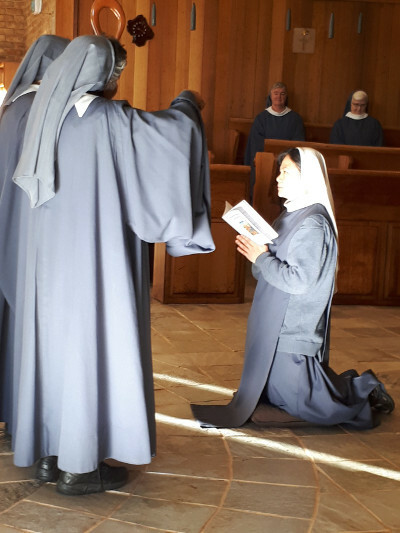 How joyful to see younger sisters, starting out on their monastic journey with hope in their hearts and a burning desire to seek God! So many of you who read this will have your own stories of celebrations of the ages in your families and communities. We will all have our ups and downs in life, but through it all, like Mary and Elizabeth, let us cherish those moments when we come together to remember and celebrate the gifts we are to one another, young or old or in between!